Ronald Koeman is a Dutch football manager and former footballer. 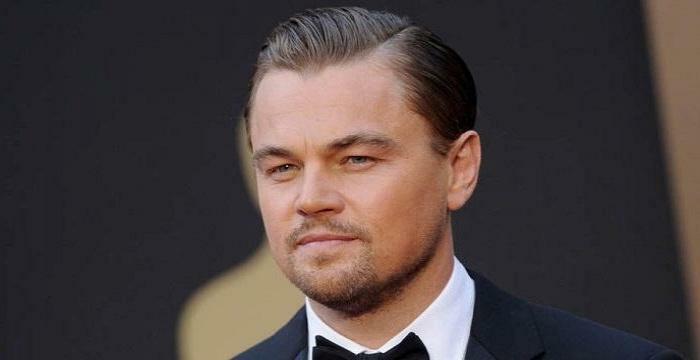 Check out this biography to know about his childhood, personal life, career, and achievements. Ronald Koeman is a former Dutch professional footballer who is currently the manager of the national football team of the Netherlands. Born in Zaandam, the Netherlands, to former international football player Martin Koeman, Ronald had been interested in playing football ever since he was a child. He started his professional career playing for a local club named ‘FC Groningen’ and later moved to the most successful club of the country, ‘Ajax.’ He eventually joined the club ‘Philips Sport Vereniging’ (PSV) and was part of the ‘European Cup’-winning team in 1988. 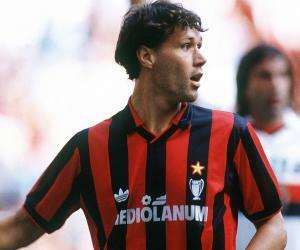 He eventually joined the national football team of the Netherlands and was one of the star players on the team, representing it in the 1990 and 1994 ‘FIFA World Cups.’ He played both as a midfielder and a defender and was known as a composed footballer. He was known for his accuracy and long-range passing and was also an efficient penalty-kick taker. He has coached three of his country’s best clubs: ‘Feyenoord,’ ‘Ajax,’ and ‘PSV,’ and has also played for them, becoming the first person to achieve the feat. 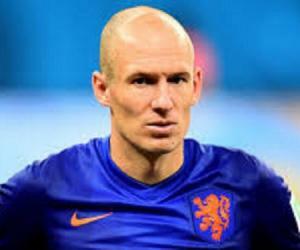 Since 2018, he has been managing the national football team of the Netherlands. 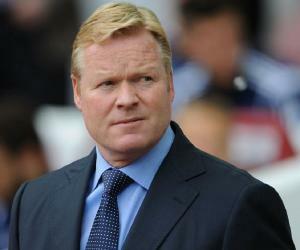 Ronald Koeman was born on March 21, 1963, in Zaandam, the Netherlands, to Marijke and Martin Koeman. His father, Martin, was himself a local and international football player. 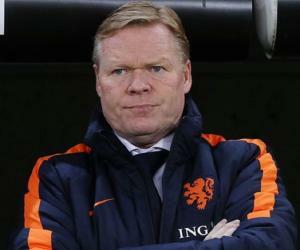 Ronald’s older brother, Erwin Koeman, also became an international player. The brothers were teammates in a few international matches. Having an international footballer as a father resulted in both the brothers obsessing over the sport ever since they were young. Although their father was a footballer, his career was not too successful. He worked part-time as a butcher and had played only one international game for his national team. 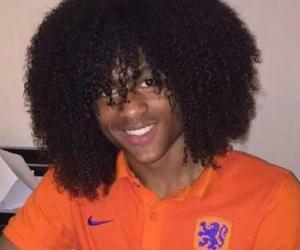 At the age of 17, Ronald made his professional debut with the local club ‘FC Groningen’ and became the third-youngest player ever to play for the team. During his first three seasons with the club, he scored 33 goals in the 90 games that he played. This was no usual feat, and it resulted in Ronald getting an offer from the best Dutch club, ‘Ajax,’ and the Dutch national team. In 1983–1984, during Ronald’s first season with ‘Ajax,’ the team lost the ‘Eredivisie’ title. In the next season though, the team regained the title. In 1986, Ronald was transferred to ‘PSV Eindhoven.’ The the team ended up winning the ‘Eredivisie’ title for three consecutive seasons, starting 1986–1987. In 1988, ‘PSV’ also won a ‘European Cup,’ which was a rare feat. This was the team’s only ‘European Cup’ title win. By 1989, bigger teams eyed Ronald. He signed with ‘Barcelona,’ and in his first season with the team, he led them to win the ‘Copa del Rey.’ During that time, the ‘Barcelona’ team was called “The Dream Team,” as it had some of the best footballers from around the world. Barcelona ended up becoming one of the best football clubs. With Ronald on “The Dream Team,” the club won four consecutive ‘La Liga’ trophies since 1991. In 1992, Ronald scored the only goal of the final match to help ‘Barcelona’ secure the ‘European Cup’ title. This was Barcelona’s first ‘European Cup’ win. Ronald was known for his accurate long passing and free kicks and scored many goals. In the ‘UEFA Champions League’ of 1993–1994, Ronald emerged as the joint top goal-scorer, with 8 goals. Despite his amazing performance, the team lost the title to ‘Milan’ in the finals. 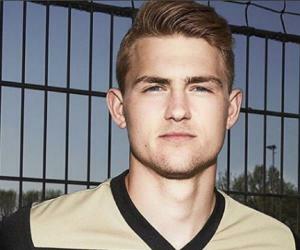 He also became the record holder for successfully turning 25 penalty kicks into goals during the season. After appearing in almost 200 matches for ‘Barcelona,’ Ronald returned to the Netherlands and joined the team ‘Feyenoord.’ He thus became one of the few players to play for the top three Dutch local football teams. Before retiring from club football in 1997, he had become the first defender to score 193 goals in all the league matches that he played. Ronald made his international debut in 1983, in a friendly game against Sweden. The same year, he scored his first international goal against Iceland. The team was not very competent, and it failed to qualify for the 1984 ‘UEFA Euro’ and the 1986 ‘FIFA World Cup.’ However, it competed in the 1988 ‘Euro.’ After an impressive performance, the Dutch team won the cup, which was the team’s only major trophy. Ronald represented his national team in the 1990 and 1994 ‘World Cups’ and in the 1992 ‘Euro.’ In the 78 games that he played for his national team, Ronald scored 14 goals. In 1997, Ronald Koeman retired from the game. He became a member of the coaching staff of the national team during the 1998 ‘FIFA World Cup.’ He also had a small stint as the assistant coach of ‘Barcelona’ before he was offered his first job as the head coach of the club ‘Vitesse.’ Despite working within a limited budget, he helped the underdog team reach a ‘UEFA Cup’ spot in 2000. In 2001, Ronald was appointed as the manager of ‘Ajax.’ However, his stint was not too successful. Following abysmal performances in the next few years, Ronald resigned as the team’s manager in 2005. The same year, he became the manager of the Portuguese club ‘Benfica.’ This time, too, the team did not perform as expected and underperformed in many crucial tournaments, such as the ‘Portuguese League’ and the ‘Champions League.’ After serving ‘Benfica’ for a year, Ronald was removed from the position. This happened a year before his contract ended. In the 2006–2007 season, Ronald coached ‘PSV’ and had a great start. The team performed brilliantly during the first half of the regular season, but its performance deteriorated in the second half. However, the failure could also be attributed to a lot of injuries that had affected the team’s best players at that time. Despite the shortcomings, the team ended up winning the ‘Eredivisie Championship’ by the end of the season. In 2007, he was appointed as the new manager of ‘Valencia.’ During his first year with the team, he helped them win the ‘Copa del Rey.’ However, following the poor performance of the team later, he was eventually sacked in 2008. He then managed teams such as ‘AZ,’ ‘Feyenoord,’ and ‘Southampton.’ With ‘Southampton,’ his managing career reached its pinnacle and he was named the ‘Premier League Manager of the Month’ thrice during the 2014–2015 and the 2015–2016 seasons. In June 2016, he started coaching ‘Everton,’ and in 2018, he was appointed as the head coach of the Dutch national football team. His teammates in ‘Barcelona’ affectionately called him ‘Tintin’ due to his physical similarity to the popular cartoon character. 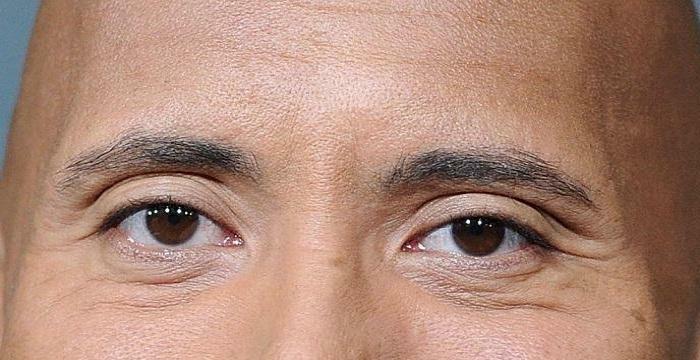 Ronald has been associated with an anti-smoking campaign called ‘Kick it with Help,’ after his wife and one of his best friends suffered from cancer.